PRS launched its SE acoustic guitar range to great fanfare this year, and now there are impressive savings to be had on the Angelus A270E and A265E. Sweetwater is offering a whopping $351 off each of these acoustics, bringing the total to $598 apiece. 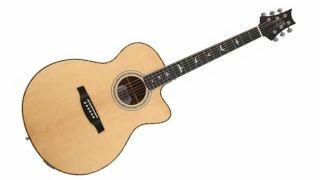 Both models boast solid spruce tops, mahogany necks, ebony fingerboards and Fishman electronics. The difference lies in the tonewood used for the back and sides: koa for the A270E and pau ferro for the A265E. Whichever one you go for, you’ll be getting an impressive acoustic for the money.